After the departure of both Ian Hunter and Mick Ronson from Mott The Hoople in 1974, remaining members Overend Watts (bass), Morgan Fisher (keys) and Dale Griffin (drums) formed the spin-off band Mott with guitarist Ray Major and vocalist Nigel Benjamin. 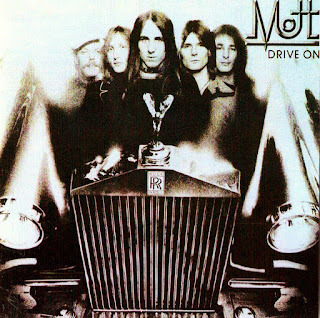 Intending to be harder hitting, but still emphasising their links to their illustrious past, the band went straight into the studio to launch themselves with the self-produced 'Drive On'. Commercial Rock and Roll was the order of the day; not a million miles away from whence they came but with the joyous vocals of Benjamin pushing mostly Watts-written tunes like 'By Tonight', 'Monte Carlo', 'The Great White Wail' and 'She Does It' into a Rockier direction. The Pop side of the band was still evident on the inventive 'Stiff Upper Lip' and the infectious 'It Takes One To Know One', along with quality ballads 'I'll Tell You Something', 'Here We Are' and 'Apologies', all based around Fisher's great piano work and Benjamin's heartfelt vocals. 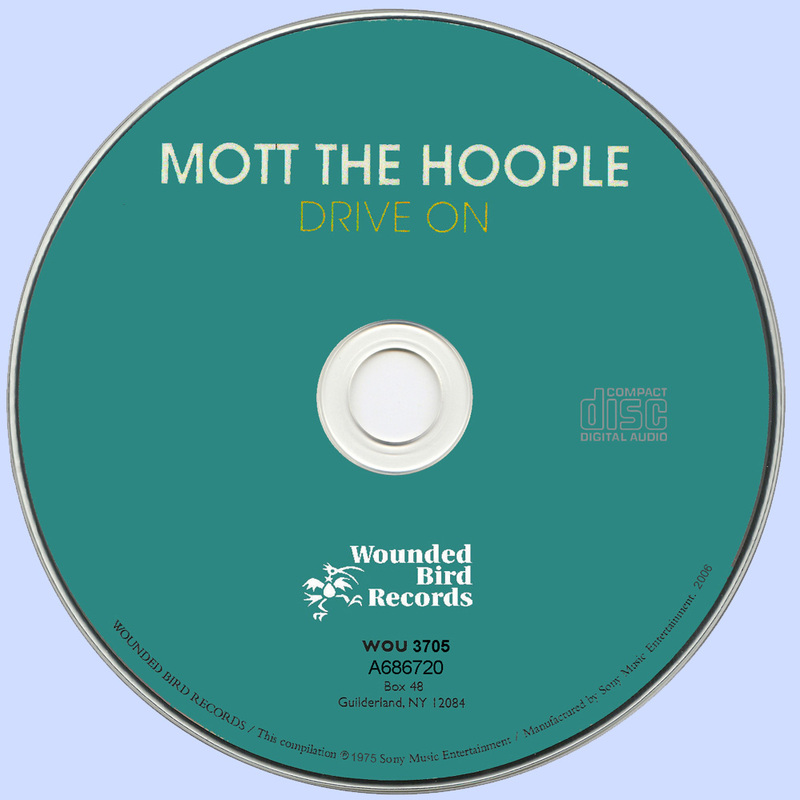 Watts sang the excellent 'Love Now' himself, and this version also features the single b-side 'Shout It All Out', a laid-back tune that's just as musical as anything else here. Produced by the band themselves, 'Drive...' was a rough diamond with many appealing qualities.